Christmas town – that’s Puerto Natales; or rather, to be more exact, this place is called Birth Port, and the birth referred to is apparently that of Jesus Christ. As the story goes, the man who named the place happened to be camped here on Christmas day – so it’s easy to see how that bit came about – but as for the designation as port… this is just wishful thinking. In reality Natales is not so much a port as a lee-shore. And a windy lee-shore at that. 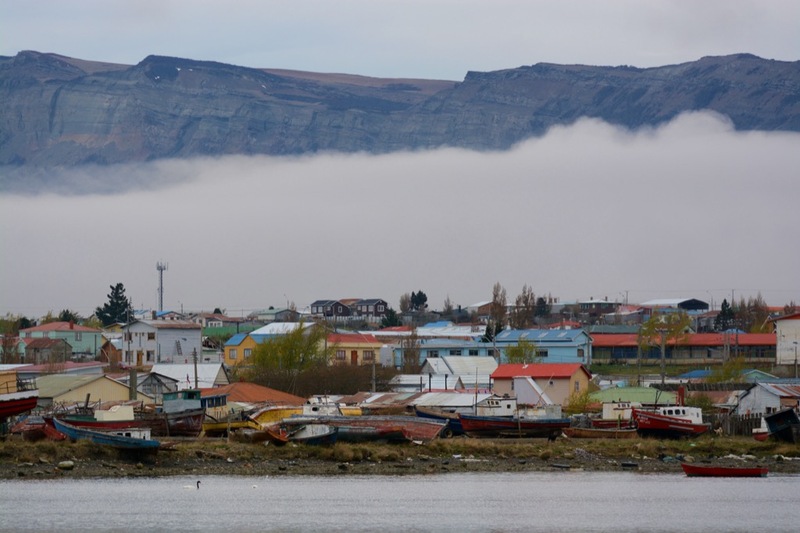 Puerto Natales is actually the ferry port for this region – but so far as the itinerant yotty is concerned, it’s one of those ‘to-journey-is-better-than-to arrive’ places. There are many such places in the world, but in this case the description is peculiarly apt because the port, or rather, the lack thereof, is a major obstacle to enjoying the place (in fact, it’s a major obstacle to just doing the shopping!) whilst the journey, on the other hand, is one of the most spectacular in the Americas. In order to reach Natales the sailor has to pass through the Andes, and as I mentioned in our previous article, the contrast between the worlds which lie on either side of these mountains is startling. After having spent many months crawling along beneath snow-capped peaks and in narrow rain-swept fiords Mollymawk was swirled through the portal of the Kirke Narrows and we found ourselves on a broad lake surrounded by flat brown plains. I felt that we had stepped out of Narnia and stumbled into the wardrobe, but Roxanne put it more prosaically: “So, we’re back in Argentina,” she said. Throughout most of their length the Andes are, indeed, the almost impregnable frontier between these two nations, and I’m not quite sure how Chile managed to get hold of this patch on the ‘wrong’ side of the fence. Geographically, it’s part of the same vast, semi-arid wasteland that we glimpsed from the opposite shore at Puerto Deseado and Caleta Horno. 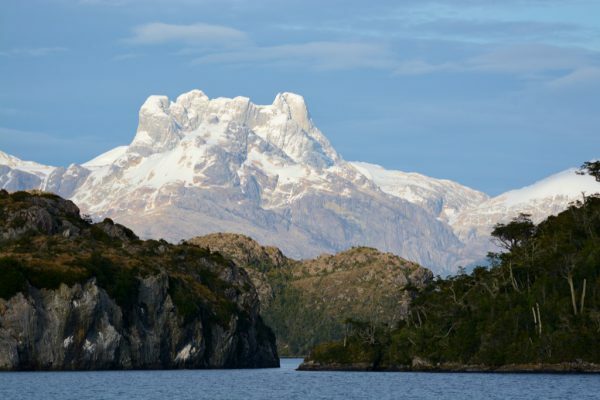 According to the geology books, during the last ice age this whole region was under glaciers, and it was the weight of the ice which cause the depression which is now the lake – or, as it is properly known, the Golfo Almirante Montt. At one time the gulf was deeper than it now is, and it was separated from the fiords on the far side of the mountains. Then an earthquake ruptured a weak, low point in the ridge, creating the Narrows. 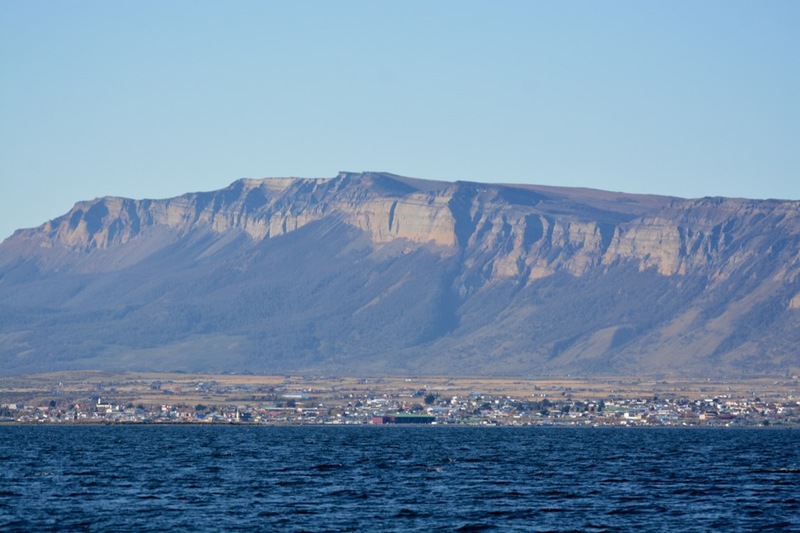 The town of Puerto Natales lies on the far side of the broad lake. Immediately behind the town stands a hill so big that it would rank as a mountain if one hadn’t just come from that fantasy-land of jagged, ice-capped peaks. The hill is called Dorotea, and it was christened by the same chap who gave us the name of the town; but we’ll talk about him another day. Unlike the Andes, Dorotea is a sedimentary creation. Whereas the mountains were formed by the collision of two plates in the Earth’s crust – and are, in fact, still being formed through that slow-motion collision, with plenty of active volcanoes amongst their ranks – Dorotea consists of layer upon layer of sand and mud and crushed seashells. It is the compressed and desiccated product of millions of years of life and death and decay in the Jurassic ocean which covered much of the world before the mountains were formed. How it comes to be standing above the rest of the ancient seabed, I cannot say. It is, in fact, only one of several such ‘lumps’ of varying sizes scattered across the plain, and I imagine that they were elevated through some sort of shock-wave, or ripple effect, derived from that collision between South America and the South Pacific plate. Or perhaps they were left in this form by the glaciers of a truly ancient ice-age, from an era millions of years before man was even a monkey. 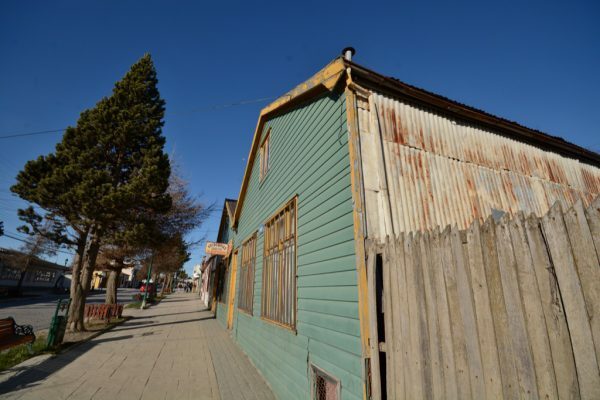 Puerto Natales was founded in 1911 when someone set up an abattoir here. During the previous decade several estancias, or ranches, had been established in the vicinity and someone evidently reckoned that this place would be the ideal one from which to ship out the carcasses. How he came to that conclusion, I cannot imagine. The water here is shallow, making it impossible for anything but a shoal draught vessel to get close to the shore; and every afternoon the place is blasted by a wind which often exceeds gale force. And as if being anchored in shoal water on a lee-shore in a gale were not enough, the bottom is like porridge; so the holding is terrible. Despite this, Puerto Natales is home to a sizeable fishing fleet. 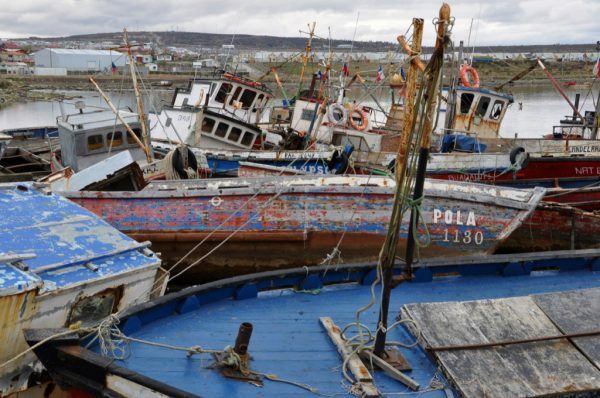 From a casual glance, the fishing boats all appear to have been hurled into one small corner by the gale, and a closer inspection does nothing to correct this impression. Very few of the boats ever go out. We’ve been told that they used to fish in the channels and send their catch to Spain. 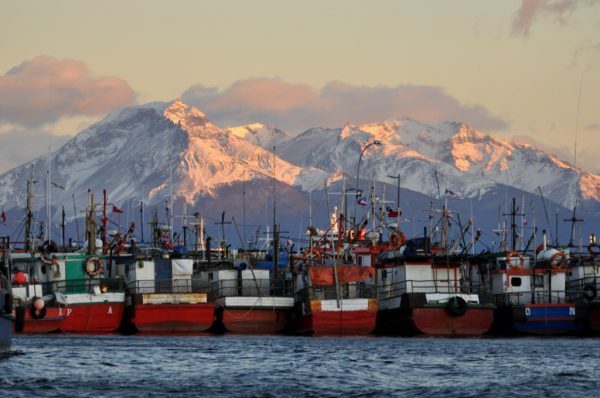 Then the Spanish economy collapsed, and the market for Chilean fish went with it. Many of the boats which are still working are bringing in cargoes of seaweed. 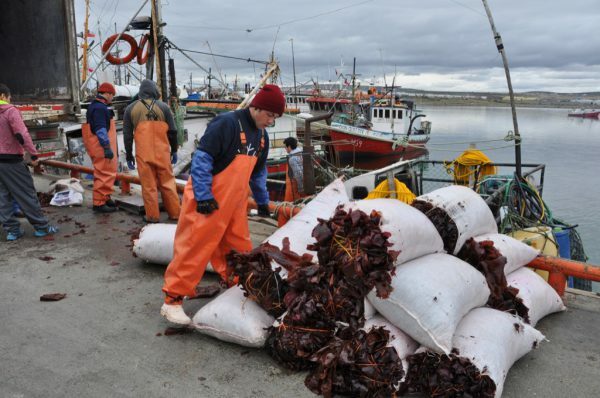 Seaweed is a popular food in Chile, with kelp and a species of ‘sea lettuce’ both featuring in the national dishes, but the stuff being unloaded from this boat is neither of these two. It’s known locally as luga and it’s being exported to China. Apparently, it’s used to make agar-agar. It’s nice to know that somebody has found something to sell to the Chinese… but I suspect that they then sell it back to the West, in one form or another. I also wonder about the economics of the weed-fishing venture. These men have to don wetsuits and dive into icy cold water to collect the stuff – if you look closely you’ll see that their boat is festooned with plastic hoses, which connect the men to a diving compressor – and presumably this rather unpleasant work earns them a decent wage. Then there’s the cost of shipping the stuff all the way across the Pacific. Agar-agar is not exactly a luxury, high-price commodity; and this kind of seaweed is not unique to Chile. So perhaps there’s a government subsidy for luga divers? Although to us they are reminiscent of the arid Argentinian coast, the plains in this vicinity have not always been bare. When Europeans first arrived the region was covered in trees. So – yes, you’ve guessed it – the first settlers chopped them all down in order to make space for their estancias, or ranches. And the incredible thing is that they’re still chopping them down now. Or perhaps it’s not incredible. After all, they’re doing the exact same thing in Brazil and they’re doing something similar over in Indonesia in order to have space to grow our palm oil. When they first arrived here the farmers kept sheep; but the land is no longer good enough for sheep, so they now keep beef cattle. And because the pasture is no longer sufficiently good even for fattening cattle, they have to send the animals elsewhere when they are fully grown and ought to be beefing themselves up. So far as one can gather, the main reason for the change in circumstances is not soil exhaustion but a lessening in rainfall. A friend who does still keep a few sheep told us that ten years ago he could run thirty on his small patch; however, in these past few years there’s been so little grass that the ewes don’t have milk for their young. 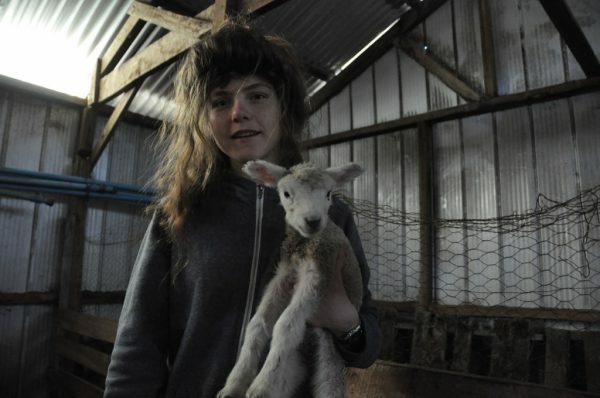 Last year half of the lambs died, and the same thing has happened this year. He reckons that this same piece of land is now only good for ten sheep. Roxanne wrote an article on this subject for her own website. As she points out, it’s not just a matter of global warming but of local environmental destruction. No trees always means less rain. Everybody knows that. So… why are we still chopping down the trees? The workers will obviously need somewhere to live and so the authorities are now allowing the construction of houses on the farmland. 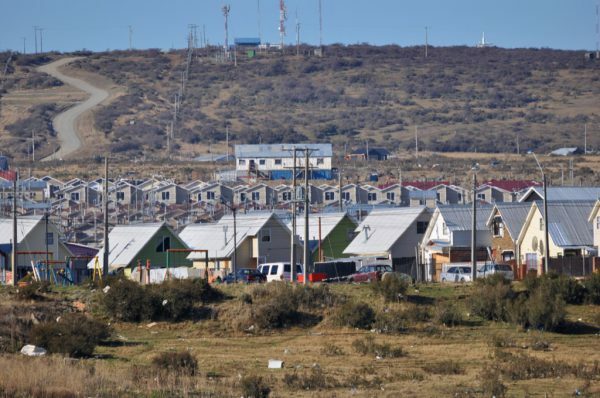 Indeed, building new houses seems to be the big thing in the Chilean South. We noted that it was also happening, on a smaller scale, in Puerto Williams. One suspects that to a large extent this policy of expansion is driven by fear of the neighbours. 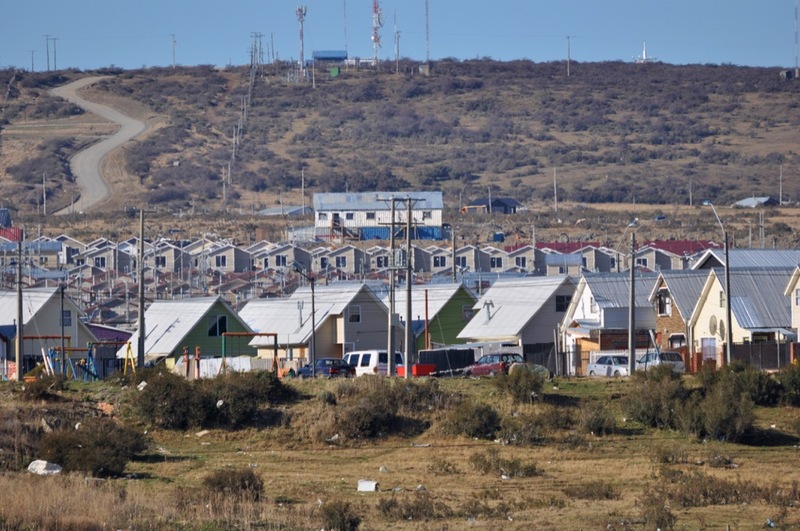 Argentina has always encouraged settlement in the Cono Sur, and it effectively paid people to relocate to Ushuaia; and so, in order to reinforce their claim over their territory, the Chilean government is trying to do much the same. 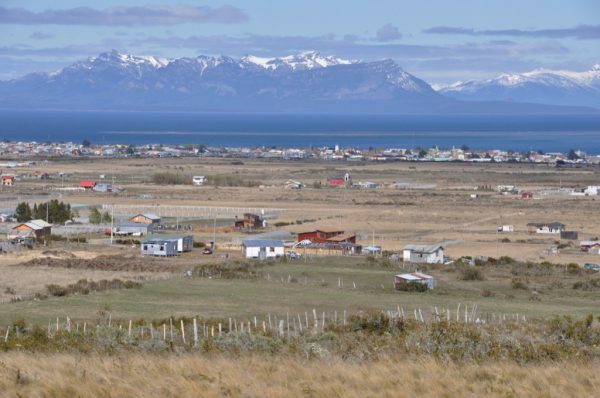 So far as Puerto Williams is concerned, the sudden expansion certainly threatens the local ecosystem, but in Natales the system seems already to be broken. The old buildings in the town centre are flimsy but rustic. They seem to murmur of frontier life and of the time when this region was peopled by farmers and other entrepreneurs. The new houses are just ticky-tacky on the hillside. When first we glimpsed them from the sea we mistook them for an open prison. If civilisation endures then, I am quite certain, within ten years this whole area at the foot of Dorotea will be carpeted in rows of badly built, poorly-insulated houses. 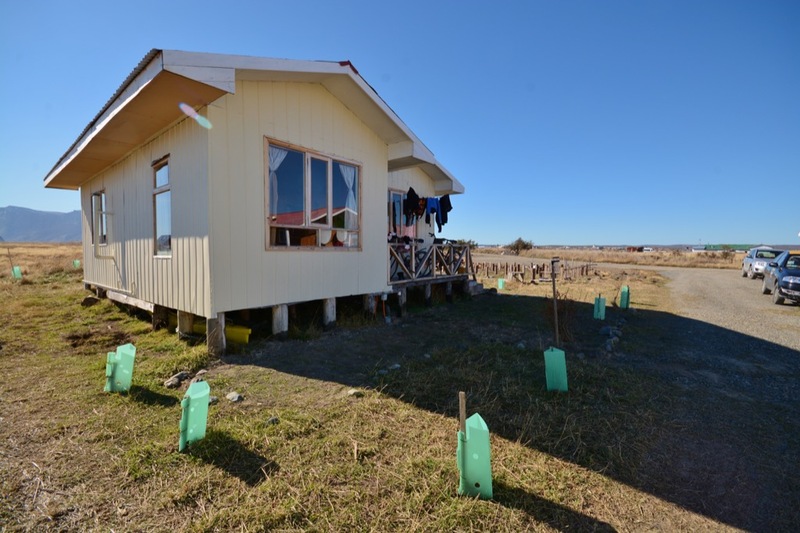 (Houses in Tierra del Fuego and Patagonian Chile don’t even have double glazing; and this in a region where even in the summer the temperature is often below 10C / 50F.) If civilisation endures then the extra millions are going to have to live somewhere, so this kind of expansion is inevitable. If we return in twenty years time – but we won’t; we won’t be coming back to this so-called port. Or at any rate, not aboard our boat. Giorgio Adrizzi, in his cruising guide to this region, says that through the eyes of a yachtsman the situation in Puerto Natales is “just a step short of tragic”, but we think he’s understating things. When the wind gets up – and it can get up very suddenly – the Armada close the port; and having been obliged to remain anchored off the fishermen’s quay while the waves were breaking over Mollymawk‘s bow – and having dragged, and then gone aground within half a boat’s length; and having, as a result, almost been washed up the beach… well, let’s just say that on a rating scheme of one to five stars, we rate Puerto Natales as minus two on the Port Index. Seriously. We can hardly think of anywhere worse. In settled weather Puerto Natales is home to a flock of beautiful black-necked swans. But settled weather is all too rare. The wind can come up so fast that on one occasion Nick barely made it back to the boat, although the distance that he had to row was only about half a cable (100m). That was also the night we had our bicycle stolen – because he couldn’t get ashore again to fetch it. Giorgo suggests that it is possible to go alongside the fishing boats, but when, in an emergency – having got our boat off the bottom, and with the engine giving trouble – we radioed to ask if we might do this for a few hours, we were told that this is not allowed. “Your boat might damage one of the fishing boats,” we were told. This is no doubt a reaction to Giorgio’s observation that one wouldn’t really want to be moored amongst these working boats, as they bounce around, hitting and damaging one another. The only advantage of this place over the anchorage adjacent to the fishermen’s pier is that it isn’t a lee-shore. 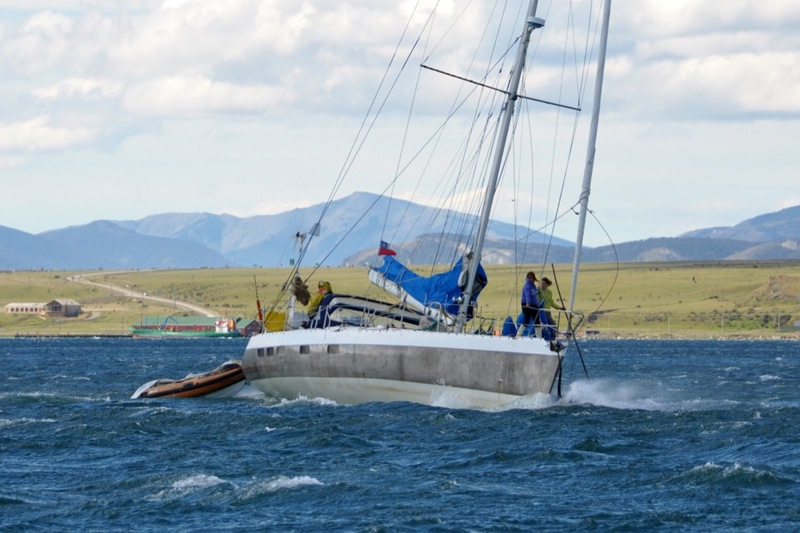 The holding is just as bad – the bottom is still slurry – but when you drag (and even the big, up-channel ferry drags) then you just have to fight your way back up to windward and begin again. The big disadvantage with Laforest is that you’re on the wrong side of the rio. And when the port is shut for three days on the trot, that’s just too bad. 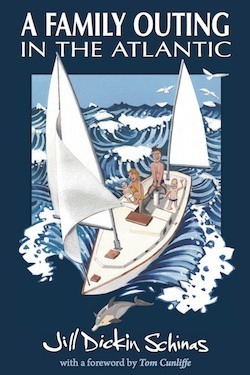 When the port is open, then you can row across in your dinghy – and you can get stuck over that side when the wind comes up in the afternoon and sends williwaws whipping across the divide! There is a ferry, but it’s a bit of a hit-and-miss affair. It goes when the captain wants to go – and, as likely as not, when he sees you coming along the shore, that’ll be when he decides that he wants to go: Just before you arrive. Puerto Natales is no longer a farming community. Nowadays the local economy is based on tourism, this being the nearest settlement to the famous Torres del Paine National Park, and so the town’s-people are favourably disposed towards visitors. But the people of the waterside seem to hold us in very low esteem – hence the theft of the bike, and the tiresome behaviour of the ferryman, and the downright dangerous attitude of the cooperative who own the pier – and this makes life in their vicinity a bit of a bore. 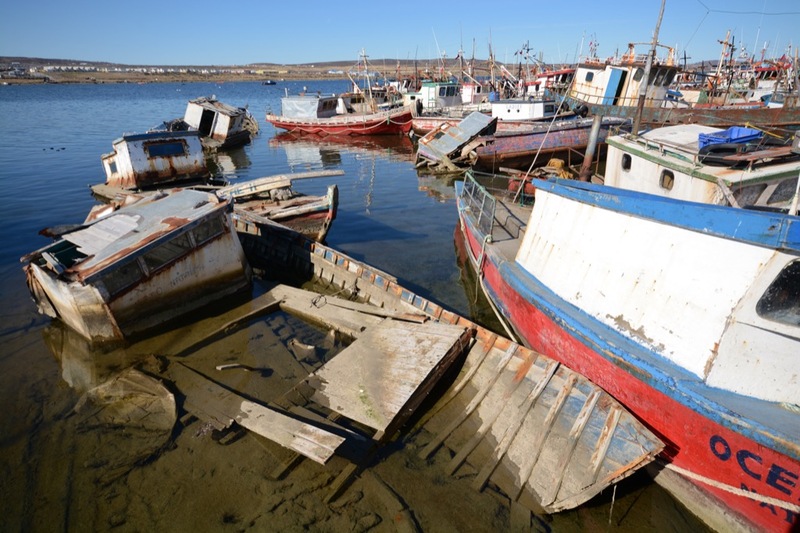 No, I don’t think we’ll be coming back to Natales. However, there is another anchorage in this vicinity, and next week we’ll tell you about that. 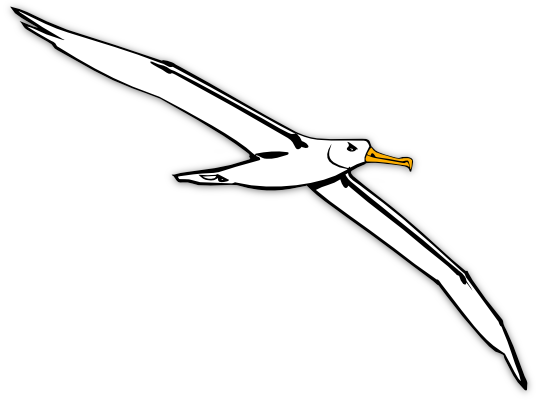 Aside from Laforest, whose advantages and disadvantages have already been described, the area immediate south of the fishermen’s pier is the only one available for anchoring. Unfortunately the water here is so shallow that it is impossible for anything other than a centreboarder or a multihull to tuck in behind the pier and take shelter from the prevailing wind. One gains access to the shore at the root of the pier. If using an outboard, be aware that the water here is so shallow at low water that you will need to punt or row the last stretch. Be sure to make friends with the guards at the root of the pier; and be sure to visit the office of the cooperative who own the pier to obtain formal permission to use it to get ashore. Even after having obtained this permission and shaken hands with all and sundry we were once chided for standing on said pier to take photos of an elephant seal (a rare visitor to these parts); and we were always ‘fined’ if we needed to bring a taxi onto the pier to unload our shopping. The one thing which might lure yotties to call here is the arrival, during our stay, of a travel-lift. 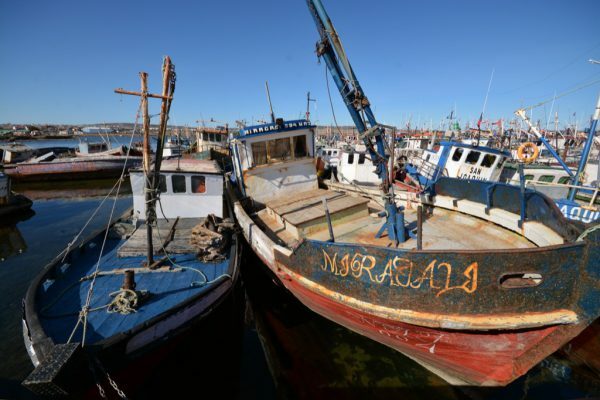 No sooner had it begun operations than the yard was filled with fishing boats, some of which had come all the way from Chiloe. At the time of writing the travel-lift is not available for the use of yachtsmen, but we are given to understand that it will be available during the crab season, when the boats are working. In fact, the management seemed quite enthusiastic about the idea of yotties subsidising the working-man’s facilities. We learnt that the fishing boats were paying 486,000 pesos (about $730US / £590 / €690) for the use of the travel-lift and a fortnight on the hard. 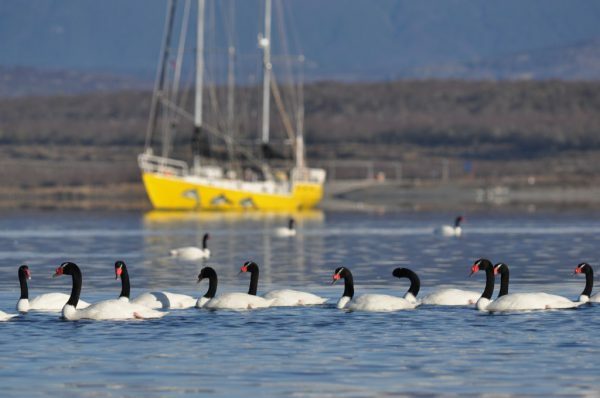 This compares very ill with places such as the Canaries or Trinidad but very well with other places in Chile; however, since we are perceived as being ‘rich bastards’ there is no doubt that yotties will have to pay a lot more.